The Illinois Lottery and Special Olympics Illinois are proud to announce the 2016 Lottery game to benefit Special Olympics Illinois. 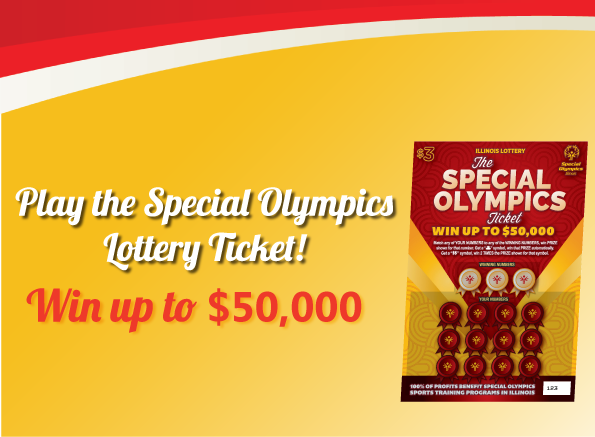 This year’s $3 scratch-off ticket will continue to help Special Olympics Illinois offer increased participation for eligible athletes in the state as well as pursue additional national and international opportunities for their existing athletes. Funds generated from the Lottery game will not be used for administrative expenses.